Yes be prepared for secondary immigration questioning and SSSS on any domestic flights you take, including those on other reservations. Turkey is even worse at the moment. I was SSSS'd at LHR on my way to JFK (then LAX / OGG) after a recent visit to IST. Only time this has ever happen. Had a longer than usual conversation with the CBP agent at JFK and no further issues (plus subsequent IST and USA visits). Be careful of your fare buckets. Lowest economy fare buckets earn only 5TPs. Check which one you need and then use this to price up on matrix before calling Ba to book. Cannot be done online. Alternatively just get CE both ways and save the hassle. To make it cheaper you can either do a Saturday night stay or look to price up with a hotel or car hire. Will you be paying yourself or going through a work appointed agent? If my Work agents booked they'd put me on Ryanair, so the flights are on me, but they do take care of everything else! Interesting that you cannot do it online though, i'll keep looking and give them a call. You will need the economy leg to book into either K, L, M, N, S or V codes to earn 10TPs on this. for the inbound on ita matrix when looking for LHR/BHD I was able to see flights departing Sunday and returning Tuesday for £287 return. However, I also found a straight CE return (leaving late Monday returning late Wednesday) for just £260 return. Recently I have had SSSS 2 out of 3 times to the States, December, nothing in January then this month. 2 ex-EU and 1 UK direct flight. I am also honest and trustworthy but......... maybe I just look dodgy? Back on topic, and I am considering the OTP fare. Is F still available on the LHR-JFK routing? I am just not great with ITA Matrix despite trying to self teach myself and reading on here. F fare is no longer available. Although you could book the J fare and UuA. Come to the PHX do. As for being dodgy... that’s the company you keep! Thanks madfish. It'd mean I reach getting a GUF 2 for the very first time! I want to say £1,338, with my AmEx offer subtracting £200 from that. $80US fee to cancel or change. Algerian visas in my passport have never once been questioned when entering the US. Had no impact on my Global Entry either. MCT-BKK on QR via DOH has come down again. Wide open for £576 return. 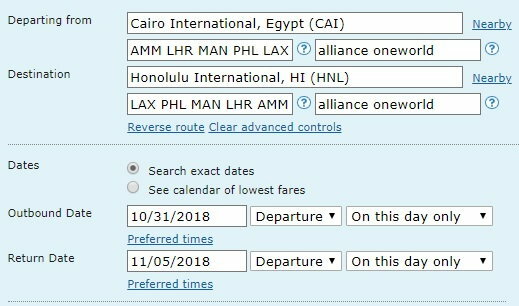 Can also get on the A380 on certain dates/times. Cheers, I surely will! Its been a while since I have been active on here, and some things have changed. Thanks for suggesting it!